The Three Rs: Rants, Raves and (Occasional) Reflections: Buy My Friends' Books! I thought I'd do something a little different here today. (Who am I trying to kid? I needed a post and didn't have anything ready, so I'm improvising!) I haven't posted book reviews here in a long time--not only is Amazon patrolling their own site in search of friends reviewing authors' books, they're always on the lookout for reviews by book bloggers. I don't want to be mistaken for a book blogger and have all of my reviews dumped, nor do I want my author friends to lose my reviews. The idea of not allowing authors to review books is ridiculous. For as long as I've been in this nutty business, conventional publishers have turned to other authors in the same genres for endorsements used to sell books. Amazon says they're giving more value to the reviews that get the most Helpful votes. Well, if you take a look at the reviews on any book, more often than not, the most helpful reviews come from...yep, other authors. Anyway, I thought I'd devote today's post to giving a shout-out to books by some of my author friends I've reviewed on Amazon. If you haven't already bought their books, what are you waiting for? I love a good romance. I love happy endings. And I love novels and movies set in Hawaii. Penniless Hearts is all that...and it has a heroine I can definitely identify with. Author Eve Gaal has a gift for characterization--Penny Himmell is a delightful protagonist, an artist with a true artist's spirit, restless, yearning. She wants more from life than she has at the start of her story. She feels taken for granted on all levels--by her father, by her boyfriend, and by her boss. She wants adventure. She wants romance. She's convinced there's something better out there for her...somewhere. And she's willing to take the chance and go for that brass ring. Like most young women in her predicament, she falls for the dubious charms of a bad boy pilot who lures her off to the genuine charms of the Hawaiian islands--and an adventure she and the reader will never forget. I know I won't! 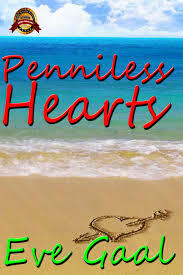 Penniless Hearts is one of the best novels I've read in a very long time. Shelly Arkon has a unique voice that comes through in every aspect of her wonderful first novel. 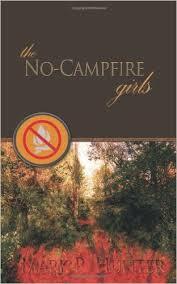 Her characterization is on par with more experienced authors, and her attention to detail is spot-on. And I would have to agree with her editor's assessment of her off-kilter sense of humor. This comes through in spades throughout the novel. Her delightfully quirky characters make you feel for them--whether you're rooting for Lila or wanting to throttle the evil Babs (okay, that might sound extreme, but I happen to think any mother who would arrange her own daughter's marriage to a man named Max Butz is evil). The name's bad enough, but the man himself personifies despicable! I hear the Fashion Police have a warrant out for his arrest. If the camp I went to as a kid had been like this, I wouldn't have gone home after two days! Mark Hunter is an excellent author. If you haven't already read his debut novel, Storm Chaser, I strongly recommend it as well. I had a discussion with a fellow author recently--about what good movies Hunter's novels would make. Hollywood, take notice of this author! Hilary Grossman has written a real-life romance--the story of her relationship with her husband Marc and their sometimes bumpy road to happily-ever-after. I've always been a bit of a skeptic when it comes to relationships, but Hilary's memoir makes me see that miracles can and do happen. I can identify with her childhood struggles, having had a less-than-fairytale childhood myself--but as the saying goes, what doesn't kill us makes us stronger, and Hilary has clearly emerged a strong, confident woman able to change the commitment-phobic Marc into her happy, loving husband. You'll find it hard to read her story--their story--without cheering them on! 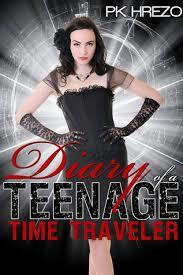 The author has done her homework--the scientific background used to make the time travel process seem plausible is impressive. Her characters are well-developed--not a stereotype in the lot of them. I thought writing in present tense might detract from the story, but I was pleased to find that it didn't. 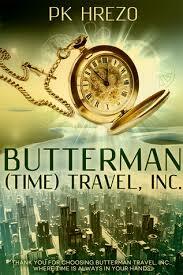 Butterman (Time) Travel, Inc. is the first of a series. 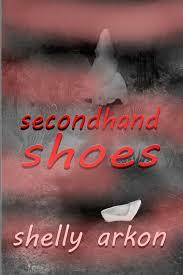 Check out the sequels as well! Great recommendations. Thanks also for the wonderful review! I don't think anyone agrees with Amazon's policy. Most authors are also readers and have a right to their opinions! Who knows what goes through the minds of Amazon Procedural Gorillas? Amazon can be a pain. I've already bought, read, and reviewed. I hope the review is still up there. Fabulous post today even if you just winged it. I can't stand it everyone of the writers I follow just toss off post that I would love to have written. My post today took me about an hour not adding the four update I had to do ! I should stick to my first idea, photos and very little text. I have two of the books you review along with several of yours that I wanted to read. Then brain and eye trouble put a stop to everything. For as much as I like Amazon (it is hard for me to get out) I dislike when they pull off stuff like this. thank you so much for the shout out!!! I have purchased three of these on your recommendations earlier. I see I need to update my library. A fine selection of books, when I get back to reading I'll look back to it. Norma if you Google 'bus accident Perth 14th July' .. the young woman in the car was my nephew's wife with their 3 year old in the car. Eve: Penniless Hearts is one of my all-time favorite books! Cheryl: I couldn't agree with you more! William: I think they're all related to Marketing Chimps! 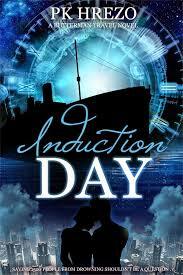 I am so looking forward to reviewing YOUR book. Readers are going to be blown away by it. You're one of my favorite authors and you're not even in print yet! Gayle. You need a Kindle. I have glaucoma in the left eye (I get only a little light perception now) and cataracts on the right. My eyesight is very poor--but I get audiobooks whenever possible, and my Kindle will narrate the others for me. I dictate my books--and just about everything else--now, with a speech recognition program on my Windows tablet. It took me a while to learn it because I really, really hate reading aloud--but only in front of other people. Your photos are wonderful. If you prefer limited text, go with that. Either way, your posts are always fun. 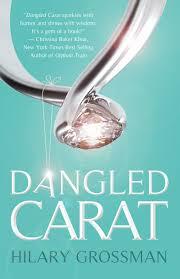 Hilary: Dangled Carat is a wonderful book--it deserves every shout out it gets! Carole: You're halfway there. Don't forget to review them! Grace: I did Google the accident--I am so sorry. It sounds like a miracle the child survived. How is your nephew doing? I came back to thank you one more time and to tell you I'm quoting you about my book being a favorite! Hugs!! Go for it! It's annoying when authors keep telling everyone how great their books are, but a whole different story when other authors are saying it! He's pulling it together for their two young children with a lot of support from the family Norma, long road ahead. Excellent recommendations and great reviews!! I don't understand Amazon's policy at all! Welcome to the club, Maria--none of us can figure it out!